DZ's Adventures: What is Jack? Jack is our lovely orange brindle foster boy, he's such a cutie pie! The question though that constantly comes up is what kind of dog is he? He's a proud mutt is what he is! We haven't done any DNA testing on him to find out but we have some guesses! First thing everyone notices is his bright blue eyes, depending on the lighting they actually look white, but if you get in really close you can see that they are a very light sky blue color, with darker blue right around his iris. 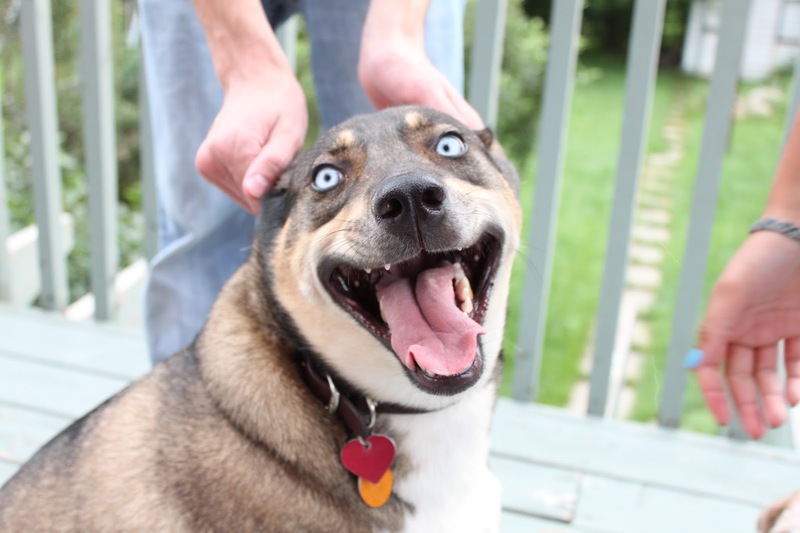 So our first thought was husky mix? 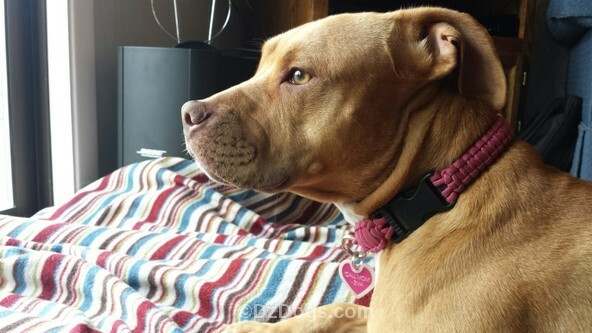 Ziva is an American Pit Bull Terrier, check out those shoulders! He's also brindle, but what I can tell you for certain is that he is not a bully breed or a "pit bull". 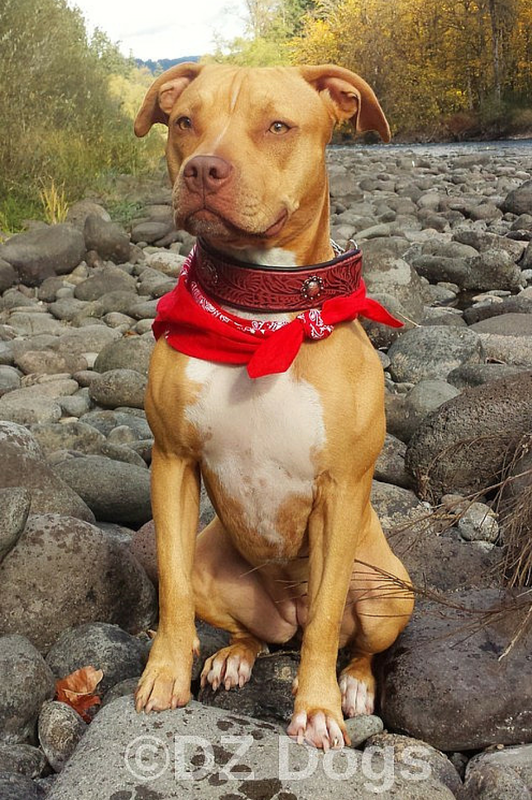 I've already had to correct a few people regarding this, he's not even a pit mix. He is tall and thin, long legs, triangular head, and although he is muscular he's more lean than boxy in his build. And he has thick short hair rather than the peachy fuzz hair bully breeds have. Bullies you can wipe down with a wet wash cloth and BOOM they're clean! Jack, nope...he requires a brush and some scrubbing. Note the differences in the shape of their skulls, Jack has a longer nose and rounder softer shaped head. Ziva has a boxy nose and more square shaped head. Jack is also not a chewer, he gets tired after chewing for a few minutes on a horn or cow ear treat. In fact he had the same cow ear treat for three days, and still hadn't finished it! Dante and Ziva on the other hand managed to eat their cow ear treats in about 10 minutes. My lovable blockhead. I love his big head! 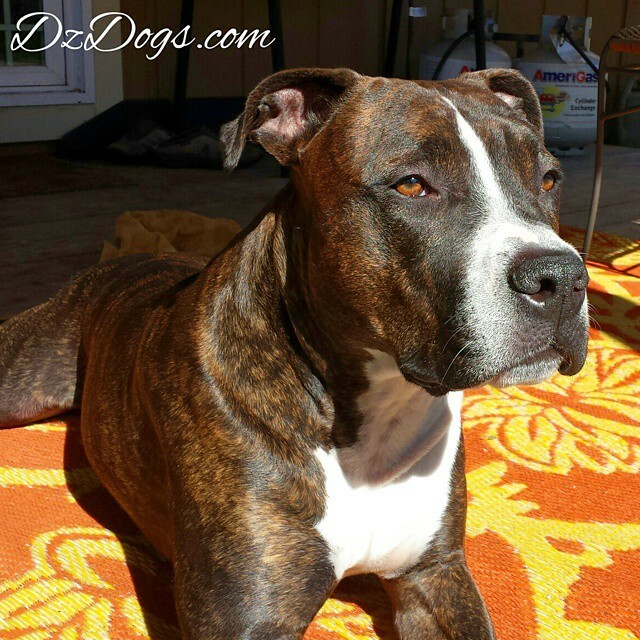 Here's another great example of a "pit bull" type head. 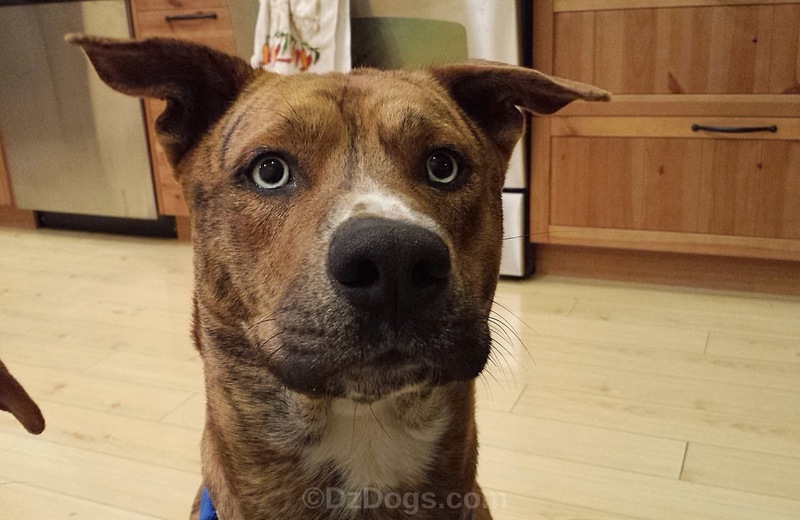 Dante we're pretty sure is Boxer/American Staffordshire Terrier mix. 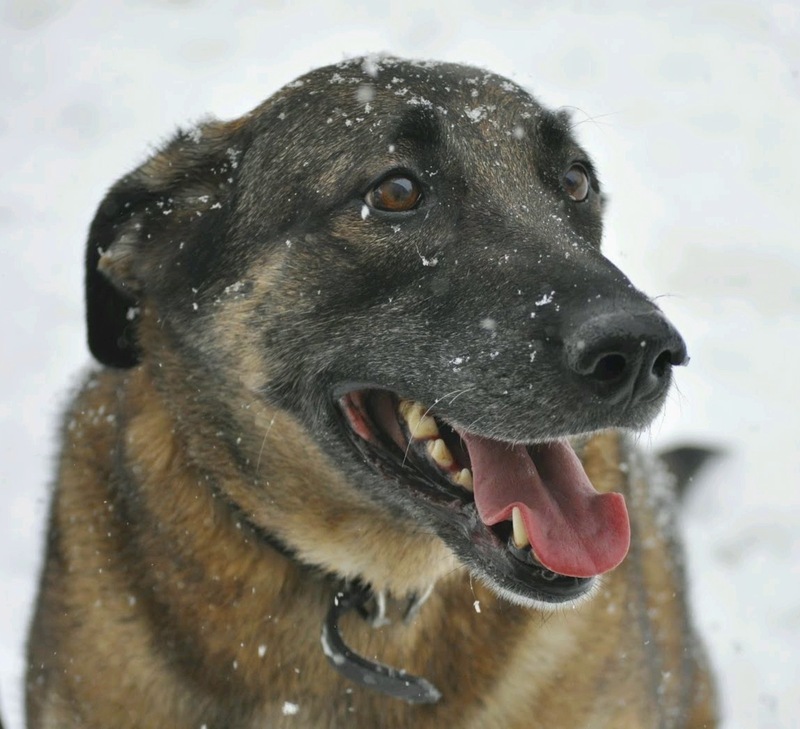 Maybe a German Shepard mix? 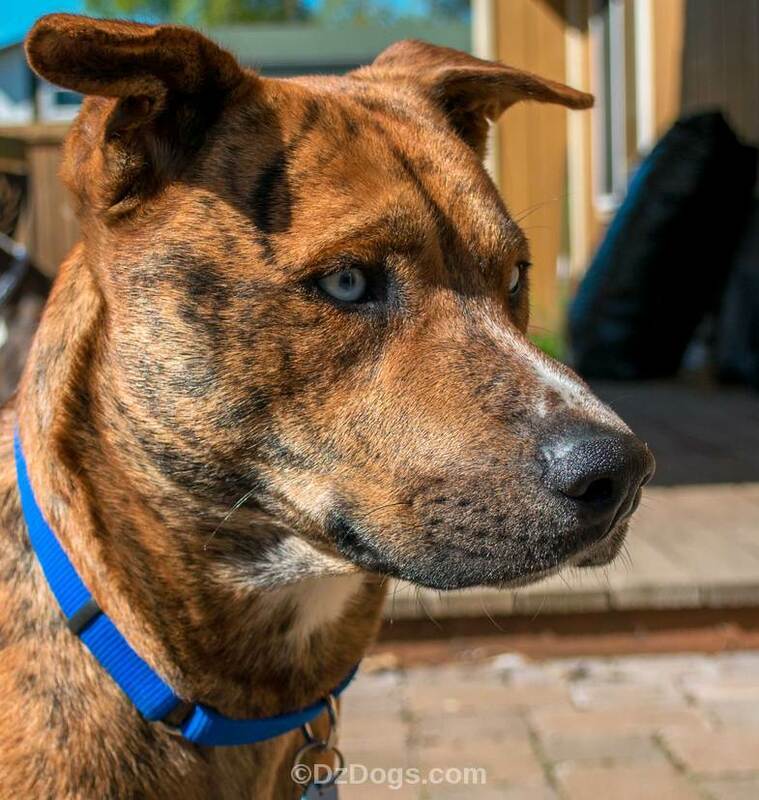 Maybe he is a cattle dog mix? Maybe he's a hound mix? Lab/hound mix. Photo via: caringcanines.org. We'll post our best guess tomorrow! 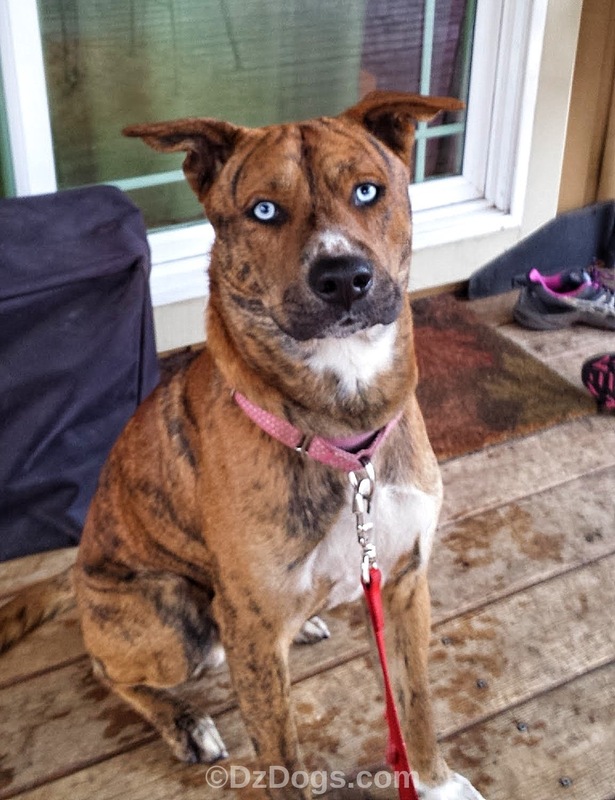 Blue eyes and blocky head could be Catahoula. 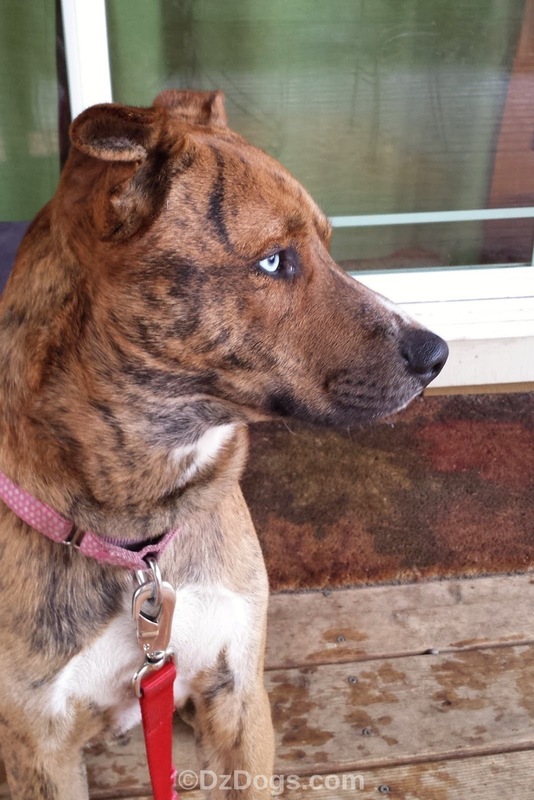 Brindle coat could be Plott hound. Whatever the origins he sure is beautiful. I would guess maybe Catahoula Leopard Dog. 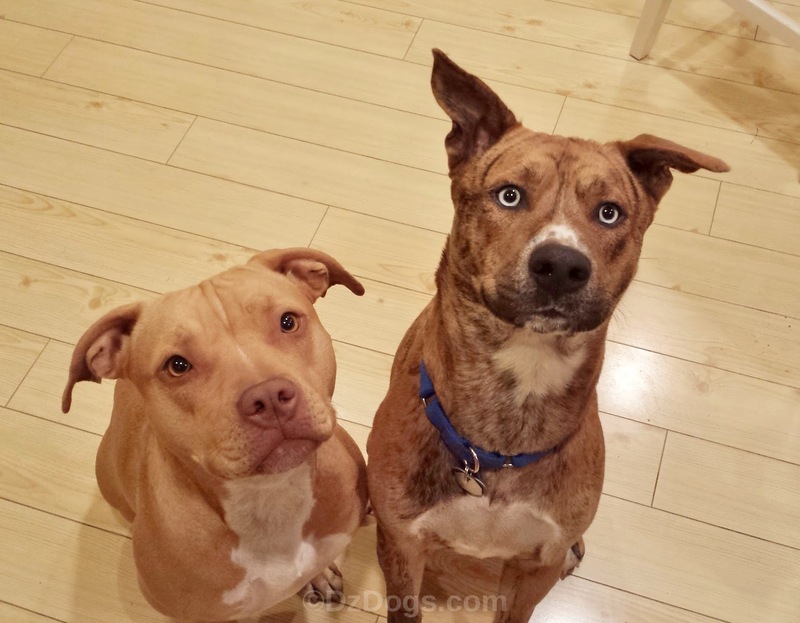 I think some of them come with blue eyes, and I know I've seen some with brindle coats. Agree! 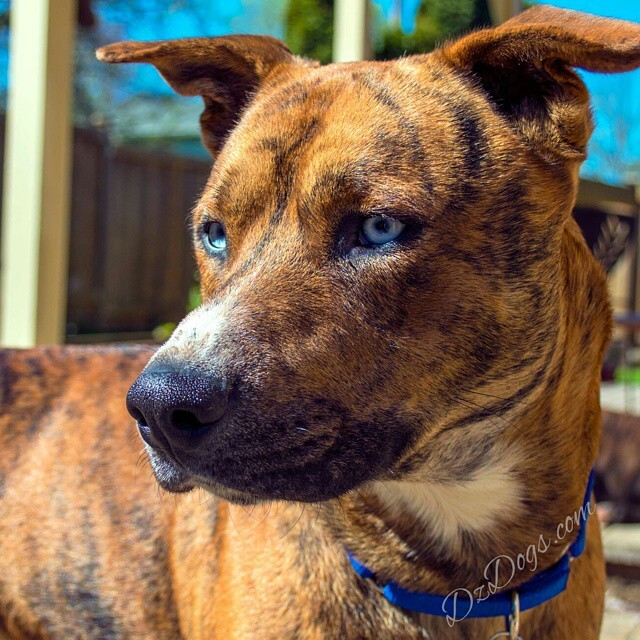 Catahoula Leopard Dog. They come in many varieties. 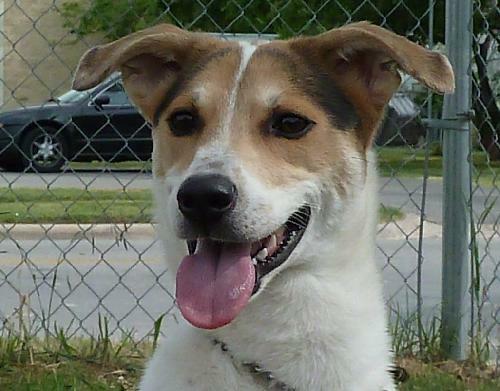 We think he is 100 percent pawfect Jack! He sure is a lovable Mutt :-) The first guess of our pups' genes was Rottweiler or Bully Breed besides the obvious Boxer we knew about (we knew their mom). We had a DNA test done and were surprised by the result of Boxer/Chow-Chow mix ~ what do you know! I definitely see the Boxer in Dante. Jack's eyes are phenomenal! 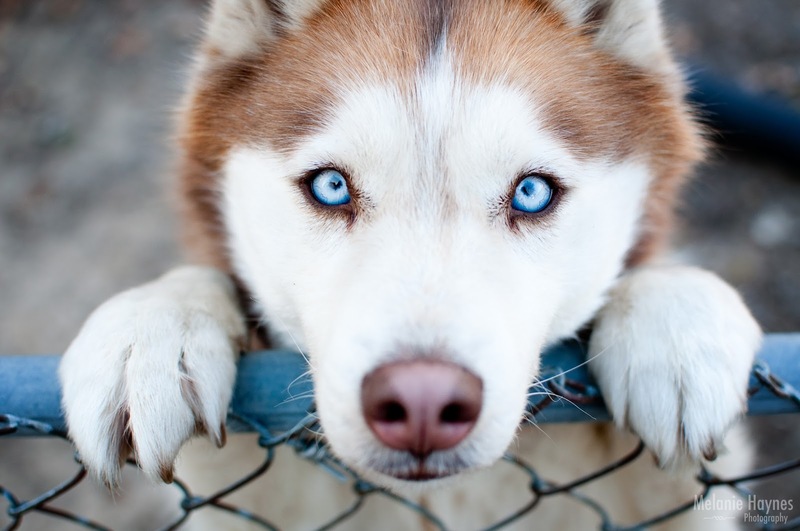 Wow, definitely look like Husky eyes. Happy Thoughtless Thursday, Ruckus the Eskie Loving Jack!